George Smith Patton, Jr. was also widely known for his controversial outspokenness and strong opinions. In World War II, he commanded corps and armies in North Africa, Sicily, and the European Theater of Operations. 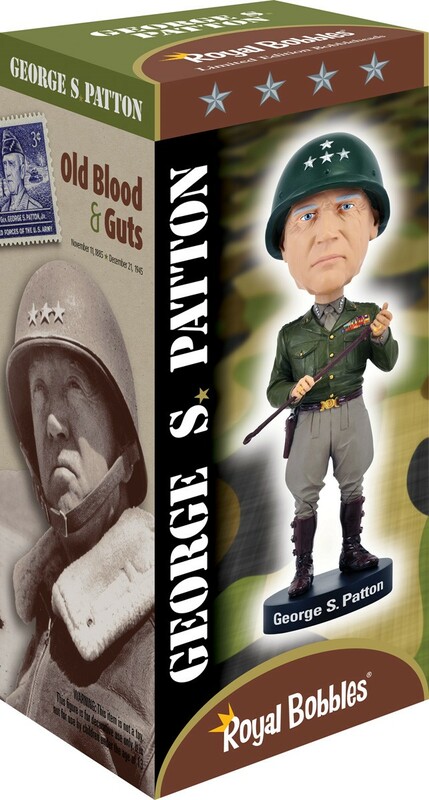 This officially licensed General George S. Patton bobblehead is exquisitely crafted with a removable helmet. This is a new version of the classic Royal Bobbles General Patton bobblehead, designed to have an improved likeness than the prior version, and an integrated polyresin helmet.